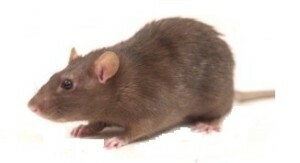 Rodents such as mice and rats are more than just a nuisance in commercial buildings. The presence of these pests can damage property, including structure and wiring. Rodents can spread disease and cause health concerns, and they can negatively affect the reputation of your business. Strategic Industries recommends using a professional commercial rodent service to help with your rodent eradication and prevention needs. Let the professionals at Strategic Industries perform an inspection to see if you have a rodent infestation. We can identify signs of rodents nesting, as well as determine hidden entry points that these pests may use to get into your commercial building. Strategic Industries will then work with you to create a plan of action to eradicate the rodents and prevent their return. At Strategic Industries, we understand the importance you place on employee and customer safety and are here to help you to avoid any liability issues involved. It’s important to bear in mind that you don’t have to have a direct encounter with a rodent to experience health issues because of them. That is because disease causing organisms reside in rodent urine and feces. They also act as transportation, bringing in parasites which can be vectors of other diseases. Don’t risk your reputation, your health scores and the trust of your customers and workers by leaving a rodent problem unattended.